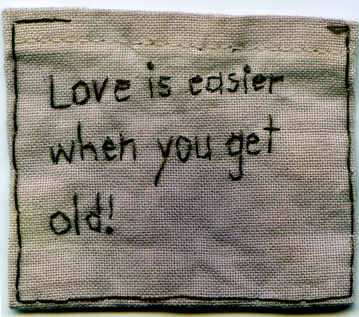 “Love is easier when you get old!” 2012. Embroidery on fabric dyed with purple onion skins. 2″ x 2.25″. Borrowed text.